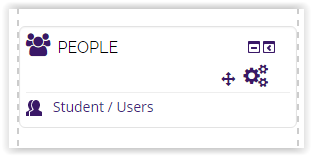 The participants' profiles are available by clicking on their name or picture. *NOTE: You will need to do these steps if you do not see the People block on your Moodle page. 2. 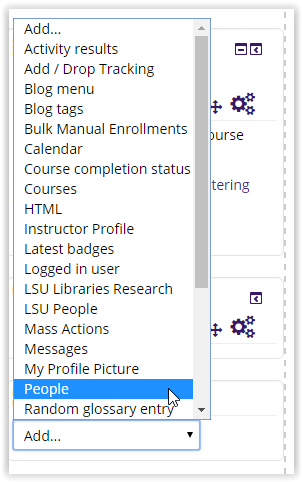 Select People in the Add a Block drop-down box.